After the fall of France and the occupation of Holland by German troops in 1940 several vessels of the Dutch Navy managed to avoid capture and made their way to the UK. A number of these were directed to serve in the Irish Sea and the first vessel to arrive at Holyhead on 31 July 1940 was the liner "Stuyvesant". 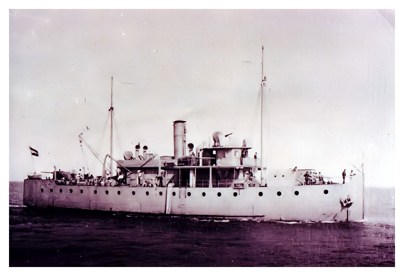 This was to become an accomodation vessel and initially served as a temporary headquarters for the Netherlands Navy until a shore base could be set up. On the 2 August 1940 the minelayer "Medusa" arrived at the port to become a guard vessel for the liner. She remained at Holyhead until January 1946 and was one of the last Dutch vessels to leave. In August 1941 the depot ship "Oranje Nassau" arrived to relieve the "Stuyvesant". There were a number of smaller vessels attached to Holyhead to help protect shipping in the Irish Sea. These included a number of fishing trawlers, motor torpedo boats, auxillary patrol boats, guard vessels and also the famous lifeboat "Zeemanshop", which had escaped from Holland carrying 46 Netherlanders, many of them Jews, to safety in the UK. In addition to the Dutch sailors there was also a large number of Marines attached to the port. In all these numbered more than 100 men and they began to use the Cafe at the now Maritime Museum as an unofficial "NAFFI". They would use the adjacent Air Raid Shelter for their protection during air raids. This shelter now houses a permanent exhibition on "Holyhead at War" and includes many unique photographs, artifacts and memorabilia relating to the Royal Netherlands Navy at Holyhead. Many of the Dutch sailors stayed behind after the war and married local girls and brought up families. 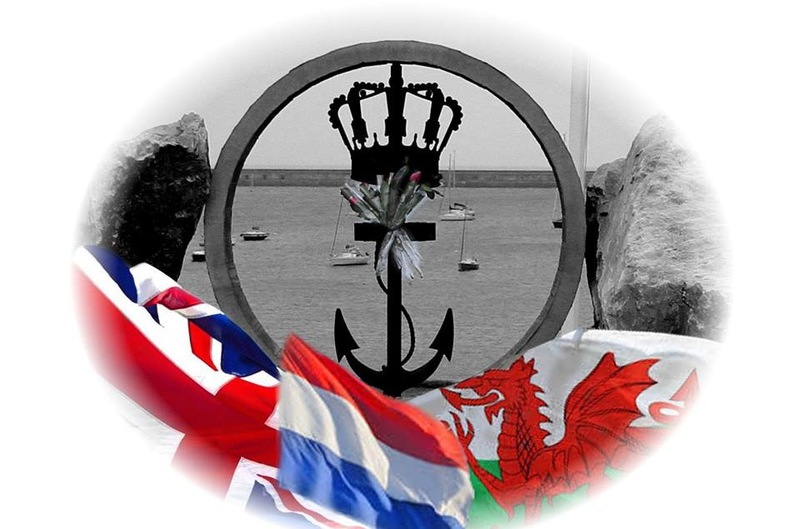 A memorial is now in place at Newry Beach, Holyhead commemorating the presence of the Royal Netherlands Navy at Holyhead during WW2 and also the close bond between the Dutch mariners and the people of the town. It overlooks the Outer Harbour where the Dutch Naval ships were stationed and also the cafe, now the Maritime Museum, where the crews would meet to socialise and talk of home.